What is Night Sight and how do I get it? Taking pictures at night just got a whole lot better thanks to Google’s latest camera update. 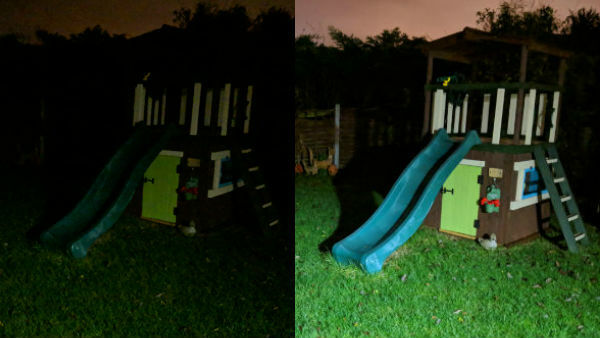 Night Sight fixes a problem that’s existed ever since a camera was first added to a phone nearly twenty years ago. We’ve all been there, you spot a great photo opportunity and reach for your phone. But it’s dark so you switch on night mode, only to be disappointed with the blurry and grainy results. When it comes to taking pictures in the dark, phones have always been overshadowed by dedicated cameras. Even some of the best smartphones on the market struggle to take great looking low-light shots – until now, that is. Google’s nifty new feature uses some very clever technology to help you capture great looking low-light photos. The reason proper cameras have always been better than phones at taking low-light photos is that they have much bigger lenses. A bigger lens is better at letting in more light. Phones tend to have smaller lenses so they need to use software trickery to get around the problem. Google has packed some very smart software into their Pixel phones that captures up to 15 frames when you take a Night Sight photo. It then stitches all the photos together to give you the best possible image. Other phones have similar features but Google takes it a step further. It uses a clever technique called ‘Optical Flow’ which senses how much movement is in the scene and chooses a different exposure time for each frame. If that wasn’t enough, it then scans the final image and smooths out any of the grainy after-effects that you usually get with this kind of software – and the results are stunning! How do I use Night Sight? Using Night Sight couldn’t be simpler. When you’re taking a photo in low-light conditions, your Pixel will be able to tell that it’s a dark scene and a “Try Night Sight” button will appear. Just tap it to turn it on. Don’t worry if the button doesn’t appear, you can turn it on manually. Just open your camera app, tap More, then Night Sight. Do you already use Night Sight mode? What are the benefits? Let us know in the comments below.